As some of you may know, this year I entered the Vanna’s Choice Contest 2011. My project was lucky enough to have been chosen as a finalist! 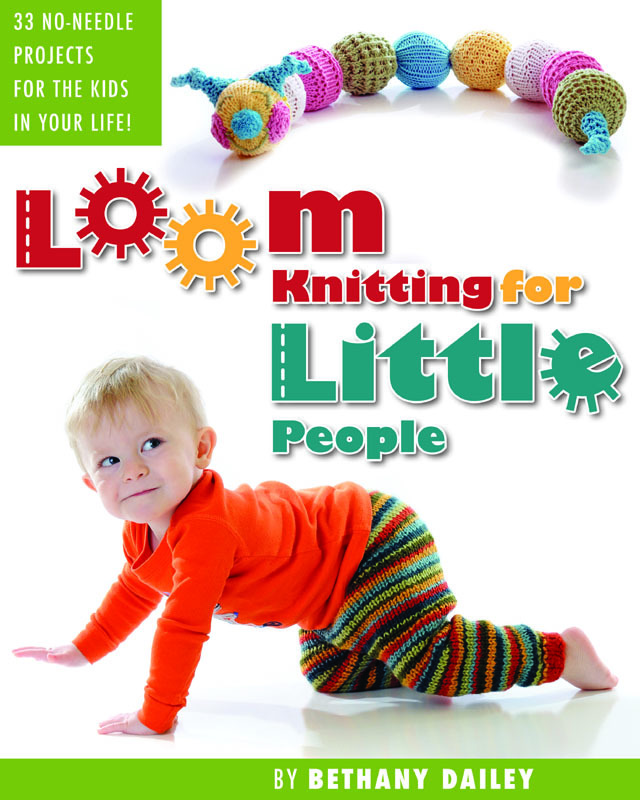 😀 This actually posed some logistical problems, as my finalist project was also one that was intended to go into the new book, Loom Knitting for Little People! We had only a very small window of time to be able to get his photos professionally taken before he had to embark upon his journey to strut his stuff in front of Vanna White herself! Although I’m sure she was very taken with him, as how could anyone not be, he wasn’t among the winners in his category. The competition was extremely fierce this year…just check out the winners and see for yourself! He finally made it back to us this past week, weary and travel worn, but thrilled to be in his own home again…and we were thrilled to have him! 🙂 In fact, my younger daughter and I got in a tiny little tussle over who was to get to hold him first when we he out of the box, lol. I’d love to introduce you to our very special, extremely colorful and ever entertaining friend, Koby the Striped Kitty! As you can see, he didn’t come alone in that box…he brought a few goodies with him! For being a finalist, he got to take home a Laugh with Lola comic book, a Lion Brand Yarn catalog, a thank you letter from Michaels, and my personal favorite, a $25 Michaels’ gift card! How cool is that?! There are couple more project previews in the works around the world wide web. We have some adorable Jester Hats in the making by our lovely and talented, Kelly Jones! She’s been teaching a class in the Yahoo Loom Class Group all based on mitered squares. This hat just happened to be a perfect fit for her to make, as it’s a conglomeration of mitered squares that make up the hat design…how cool is that? Pop on over to her blog and see what’s she’s been up to…and while you’re at it, make sure to enroll in the class at Yahoo to learn all about making mitered squares on the loom! 🙂 They’re really fun to do! There’s another gal who has been working on another preview from the book! I’ll be sharing all about that on Friday, when I’ll also be talking about a soon to be happenin’ BLOGOVERSARY BASH!!! 😀 Who’s ready for a Par-Tay? Oh…and don’t forget to pre-order your own copy of Loom Knitting for Little People! You’ll be helping to get this book project off to a great start, which in turn will be helping to support children in need. We’re currently at 37% funded with only 15 days to go! You can pledge today and you won’t be charged until August 4th. There are some absolutely incredible prizes being announced too! Here are those that I’ve offered, and join the Markman Looms Yahoo Group to find out how to be entered into a drawing for a $100 handcrafted loom…or a $100 gift certificate for a pledge of $100! You really can’t lose with that deal! It’s truly incredible! 😀 Deep heartfelt thanks goes to Lynn Markman for offering these amazing awards and prizes! Blessing to you all and Happy Looming! This entry was posted in Blogiversary, Book Progress, Books, Charitable Donations, Classes, Contests, Crafting, Family Fun, Goals, Kids, Knitting, Loom Knitting, Looming Patterns, My Favorites, New Projects, Pets, Project Preview. Bookmark the permalink. Koby is a kutie and a winner in my book any day! I can’t wait to make my own Koby someday! LOVE the photo with Emily 🙂 … I should be working on a project preview too. 😉 Hmmm, which fabulous pattern could I do in time for the release? Time is just flying by this summer! Koby looks shy but he is “GOOD LUCK” for you Bethany !! How very cute!! You did a great job on him!! Oh no – another thing for my to-do list! 😉 I love it!!!!!! Will have to make several.